Nostalgic engines are hotter than ever with the early HEMI models topping the cool factor in classic hot rods. For anyone with a 392 HEMI, they're going to be excited to hear about MSD's Pro-Billet Distributor. The distributor shaft is guided by a sealed ball bearing while accurate trigger signals to fire the MSD Ignition Control. The Pro-Billet 392 Distributor, PN 83891, is based on a CNC-machined billet aluminum housing for incredible strength and precision tolerances. For tuning, the HEMI distributor features MSD's easy-to-adjust mechanical advance and is supplied with different springs and stop bushings. This allows you to custom tailor a timing curve to match your application. There is also a vacuum advance canister that will help with economy during cruises and throttle transitions. The distributor is supplied with MSD's heavy duty race rotor, distributor cap and spark plug wire retainer. 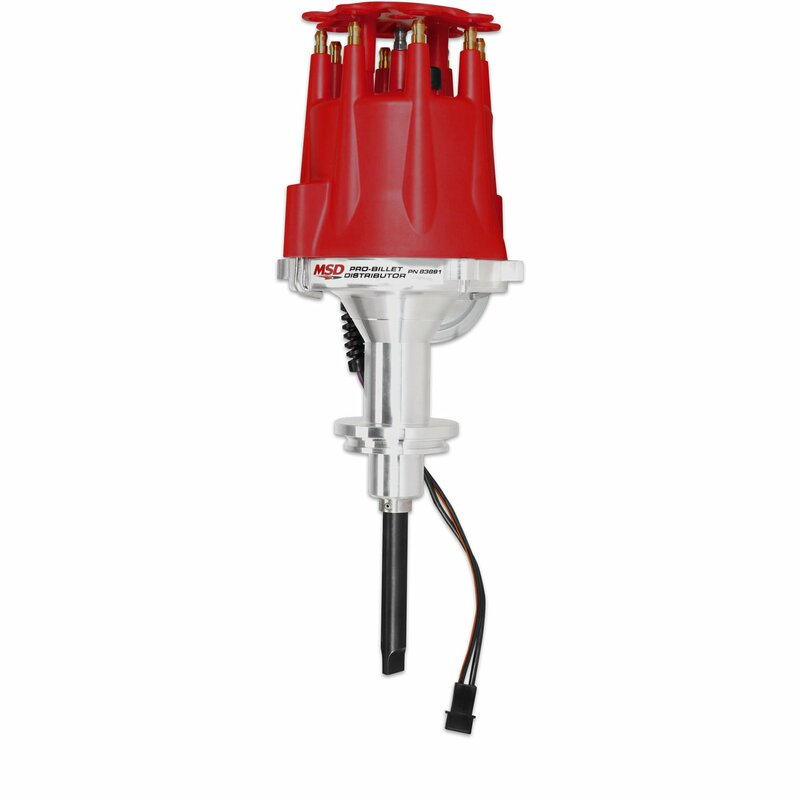 An MSD Ignition Control such as a 6AL is required and will plug directly into the magnetic pickup of the distributor.